2003 champion Petter Solberg returns to the FIA World Rally Championship (WRC) with the Volkswagen Polo GTI R5. Solberg and co-driver Veronica Engan will compete in the WRC 2 class at the Rally Spain in Catalonia from 25 to 28 October. 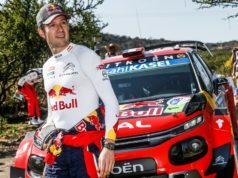 Six years after his last rally in 2012, the Norwegian will make his comeback in precisely the same place, at which he called time on his rally career. 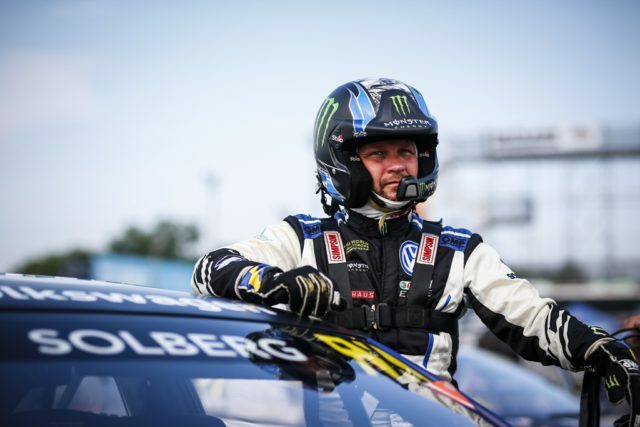 Solberg, who drives a Polo for his PSRX Volkswagen Sweden team in the FIA World Rallycross Championship (WRX), will briefly change fields. The new Polo GTI R5 will make its competitive debut at the Rally Spain, which will be the car’s only outing with the Volkswagen works team. The racing car will then be run by customer teams in national and international championships, in accordance with R5 regulations. 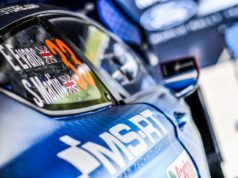 Solberg returns to the WRC from the WRX for a weekend. This sees the Norwegian return to his rallying roots. Between 1998 and 2012, he made 188 appearances in the World Rally Championship – with Toyota, Ford, Subaru and Citroën. In 2003, Solberg won the world championship title with Subaru, ending the season just one point ahead of eventual record-breaking champion Sébastien Loeb and third-placed Spaniard Carlos Sainz. He remains the last Nordic world rally champion. In 2009, 2010 and 2011, Solberg competed in the WRC with his own team. He then spent one final year as a works driver with Ford in 2012. Solberg claimed 52 podium results in the World Rally Championship, 13 of them victories. The Rally Spain marks Solberg’s first rally with Volkswagen and his debut in an R5 car. After switching from WRC to WRX, the 43-year-old won the Drivers’ title in both 2014 and 2015. Volkswagen Motorsport and Petter Solberg’s PSRX team announced a partnership at the start of 2017. This has proven to be a winning combination: the team took the Team title and was behind the world champion, Johan Kristoffersson, in its very first year. Volkswagen is responsible for the development and technical preparation of the two Polo R Supercars, while PSRX Volkswagen Sweden looks after the logistics, on-site running of the car, and the marketing side of things. Solberg remains the only driver to have won the Drivers’ title in two different FIA world championships. Solberg originally wanted to be a painter – however, he gave up his training place for motorsport. The rally pedigree within his family tree is evidence of the fact that speed is in his blood. “Mr. Hollywood” comes from an extremely successful dynasty of rally drivers: his parents both successfully took part in Autocross races. His brother Henning Solberg recently claimed the best result for an R5 car in the overall standings at the Rally Turkey – sixth place – and can also look back on an eventful WRC career. When Petter married his wife Pernilla, the Solbergs joined forces with the Walfridsson family – already an established name on the Rallycross and rallying scene. Pernilla was long regarded as one of the best female rally drivers in the world. It is no wonder then that their son Oliver has already enjoyed great success as he follows in his parents’ footstep – including in the FIA Baltic Rally Trophy and the Latvian and Estonian Rally Championship. The choice of co-driver for the Rally Spain was an obvious one. Veronica Engan has competed alongside son Oliver in various R2 rallies since 2017, and is virtually a member of the family. 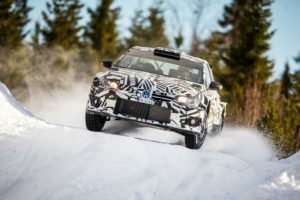 The 34-year-old can point to roughly 150 starts with Nordic rally drivers, including Eyvind Brynildsen, Marius Aasen, Johan Kristoffersson, Bernt Kollevold and Anders Grøndal. Her career started in 2003, since when she has 27 WRC and seven WRC 2 rallies to her name. Her best result came in 2009, when she finished seventh alongside Mads Østberg at the Rally Italy on Sardinia.